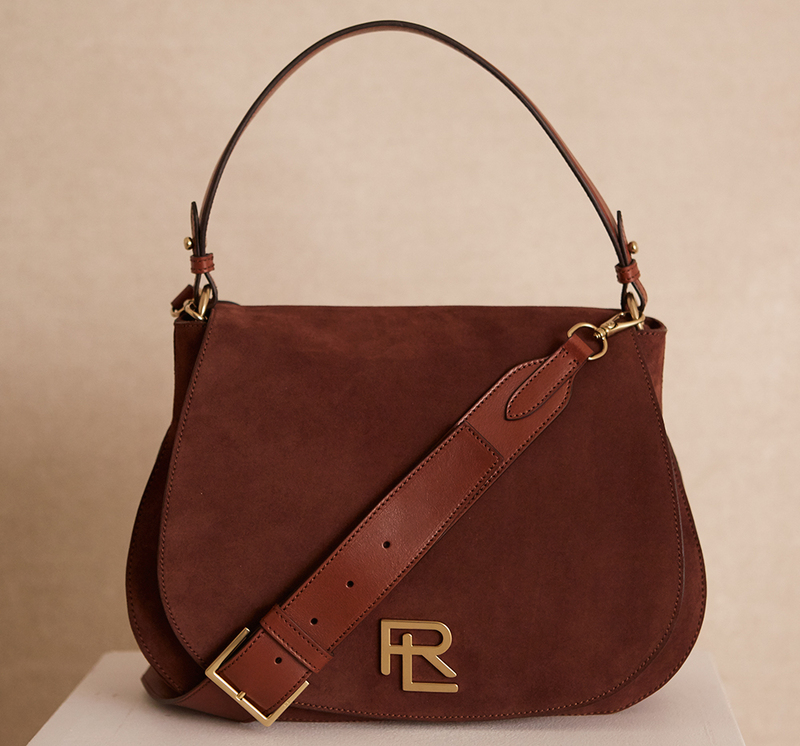 When I lived in New York City, I saw countless women carrying Ralph Lauren bags--namely, the Ricky. It was as if the bag was a special secret among New Yorkers; it was still carried by a far-reaching worldwide crowd, but in NYC, it lured in the most sophisticated and elegant ladies. Countless times I'd be in Central Park or walking along the streets of the Upper East Side and see tan impeccably dressed woman toting a Ralph Lauren bag. The woman and the bag were both quintessentially New York, and I fell deeply in love with the brand and its leather goods. I tend to wear more blacks and greys, but I love a great brown bag to pair with a camel coat and crisp white top. 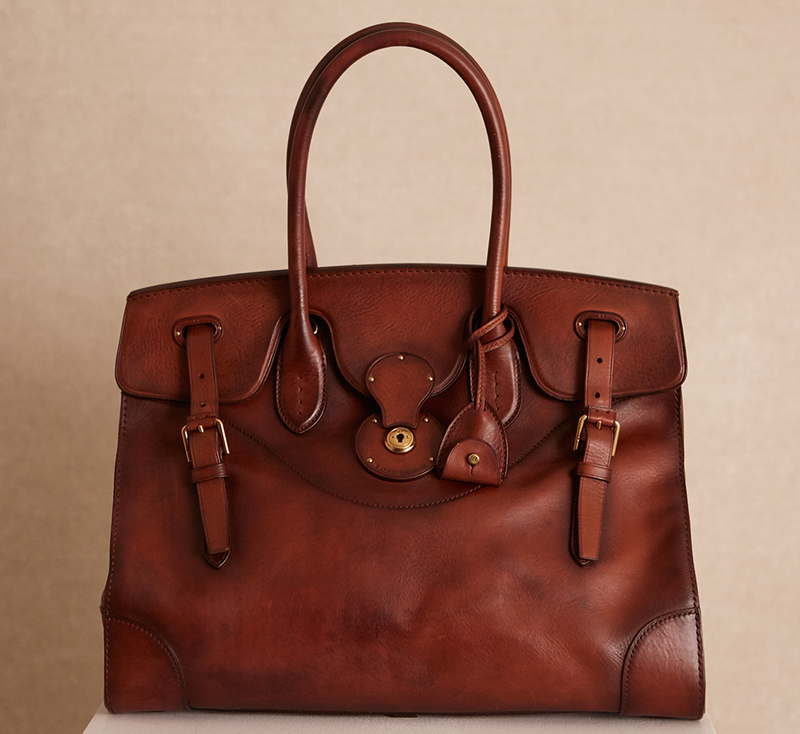 Ralph Lauren offers some of the most beautiful brown-hued bags out there, giving you a classic American Heritage feel with a pulled-together style. These bags will help you kick off your fall wardrobe; you can order them now and they will ship to you in October, just as fall dressed is beginning in earnest. From the classic Ricky to the newer Tiffin, here are four Ralph Lauren bags that have my heart yearning for the perfect NYC fall day and the outfit and bag to match. I had to start with this bag because I'm simply obsessed. The loden-hued plaid wool, paired with luxe leather, takes this menswear-inspired style to the next level. Pair this bag with a white button up or opt for a cashmere sweater and jeans. 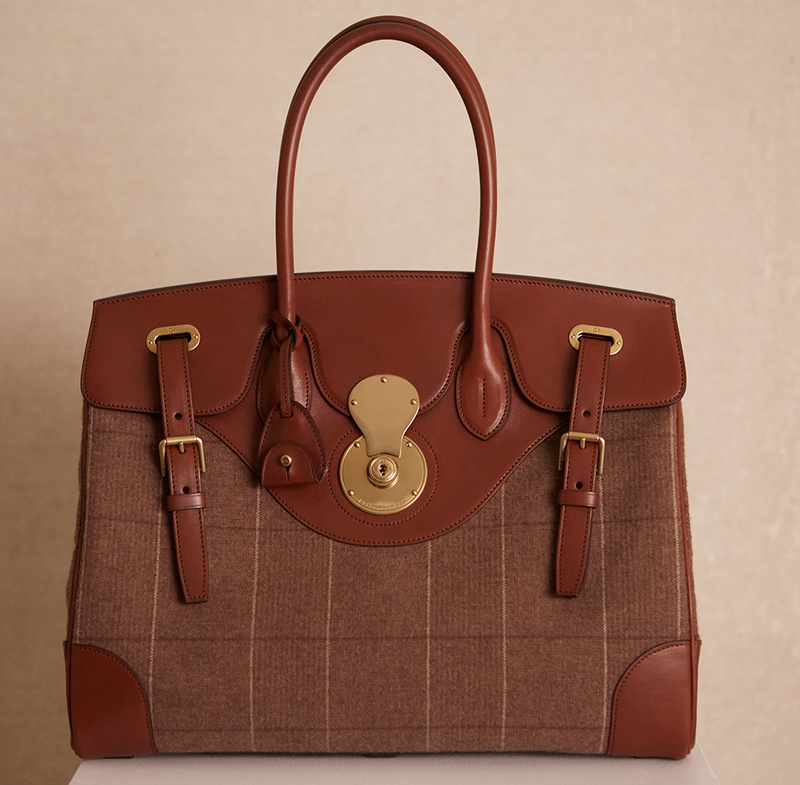 Ralph Lauren specializes in American Heritage style, and this bag proves it. The Soft Ricky offers less structure and lighter weight with the same classic aesthetic, and I find myself loving the slightly more casual feel of the soft leather. The Vachetta Ricky takes up to eight hours to construct in Italy, and the rich, perfectly worn look is achieved by hand-burnishing the leather. The Tiffin was a favorite among celebs and industry insiders during September's New York Fashion Week, and I really took a liking to it then. 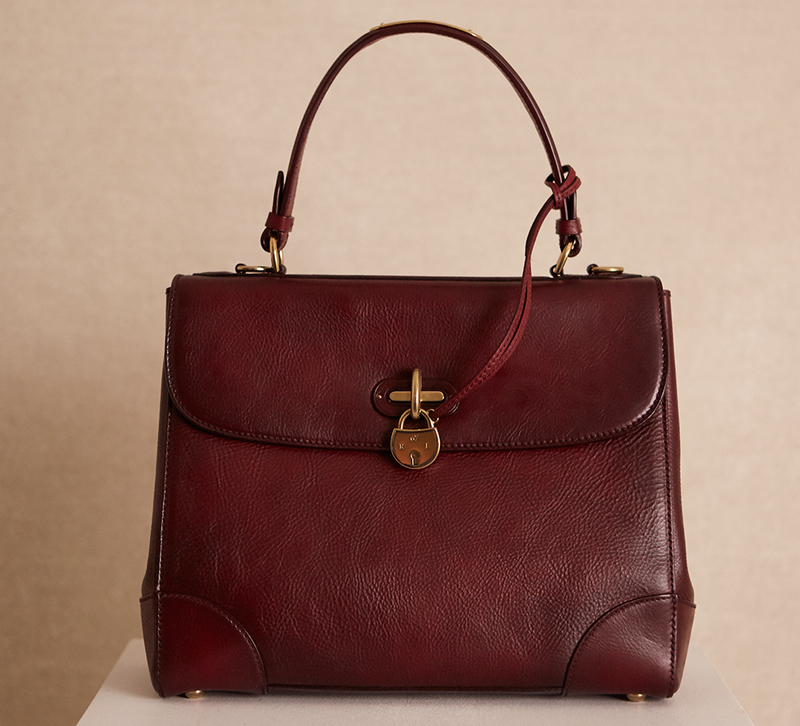 I loved seeing the different sizes and how people styled the bag, and this Bordeaux iteration from the upcoming fall collection is stunning. The structured bag showcases a timeless feel but also offers a removable shoulder strap for easy wear to match our modern lives. With strong equestrian roots, it's inevitable that many of the accessories from Ralph Lauren meld with the equine heritage of the brand. This messenger bag offers a sleek silhouette with the signature RL hardware, which is both recognizable and subtle. You can use the top handles to carry this mocha-hued suede bag, but I would use the removable shoulder strap to structure it as a messenger for daily wear.